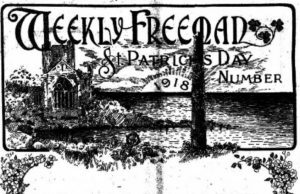 St. Patrick’s day 1918 fell on a Sunday, it was still war time, so the celebrations were kept to a minimum. The official holiday was only fifteen years in existence, since it started in 1903. 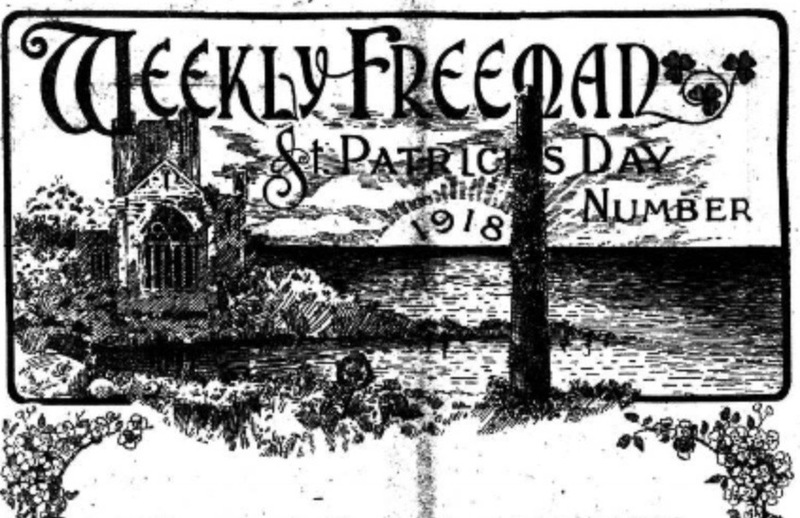 Drinking alcohol was allowed on St. Patrick’s Day in 1918, it was banned in 1927 till the 1970’s when the population was again free to indulge in “the drowning of the shamrock”. “I do not see why rich people should not be kept off their drink as well as poor”. James O’Mara the Irish MP, in Westminster, who introduced the bill later opposed any drunken revelry, citing that it was “a direct insult to the Saint”. The Gaelic League were pro preserving the day as a dry holiday too. As Time Marches On; A Brief History of Dooagh Pipe Band 1882-1982, J.J. McNamara & J. McNamara N. T.
This entry was posted in Friends, History, Places and tagged Emily M. Weddall on March 17, 2018 by Maria. This blog contains some copyrighted material, which permission was sought for it's use. The blog is not for profit, and for educational purposes only. Anyone can quote or expand on the topics contained in the blog within reason. If you wish to use large pieces of material please contact me.